You have a voice…with The Energy Cooperative! One of the best things about being a member of a non-profit cooperative is that when you speak, the company listens.  As a member-owner, the cooperative’s goal is to provide you with safe, reliable energy at a reasonable cost. When you have a complaint or a compliment, we want to know about it. We want to change the way we do business if it means we can serve you and other cooperative members better in the future. The information you provide on this form goes directly to the management staff of the cooperative. So, please be specific and include as much detail as possible. We use the information we receive on these forms to track and identify areas in need of system improvements. Your feedback on this form is very valuable to us and thank you in advance for contacting us. Did you have an interaction with a representative of The Energy Cooperative? What was the reason for your interaction? Where your questions or issues resolved? Would you like a representative from The Energy Cooperative to contact you in regards to this survey? If yes, be sure to provide an email address or phone number above.